MS Zeest International City Phase 3, the affordable luxury. You can find MS Zeest International City Phase 3 in the Sector 60 Warsan 1. It is situated in the southwestern part of Dubai and is bounded by Emirates Road from the West and Manama Road from the North. This is a wonderful place where there are green areas for recreation, schools, shops, cafes and restaurants. Here you can work and relax. Spending no more than 15 minutes, you can find yourself in one of the parks: Silicon Park, DSO Lake, Triangular Park, Paris Children Park, Central Park or other. There are KFC, Sumo Sushi & Bento and Mandi Plov Restaurant near the complex. The nearest school is GEMS Founders School, in less than a kilometer. Others are Kensington School, Emirates British nursery, Kings’ School Nad Al Sheba in the radius of 15 minutes drive. In 10 minutes, there are Heriot-Watt University Dubai, Manipal University, Birla Institute of Technology & Science, Murdoch University Dubai, University of Birmingham Dubai, American University and others. many shops are located in 5-6 km around the complex: Reeflections Fish & Live Animals Trading, Hallmark, DSO Cedre Liquor Shop MMI, Meat Shop, AutoPro, Bikanervala Dubai (Indian Sweets Shop in Dubai), Abdulla Hussain meat shop and other. Emirates NBD ATM is in 3 minutes, more banks and ATMs are in 10 minutes (Rak Bank Headquarters, HSBC Bank Middle East Limited, Union National Bank Atm, Bank Of Baroda, Dubai Islamic Bank etc.). It takes about 8 minutes to get to Apple Clinic Greece Cluster, 11 minutes to Aster Speciality Clinic, Shanghai Medical Center, Symbiosis Medical Centre. 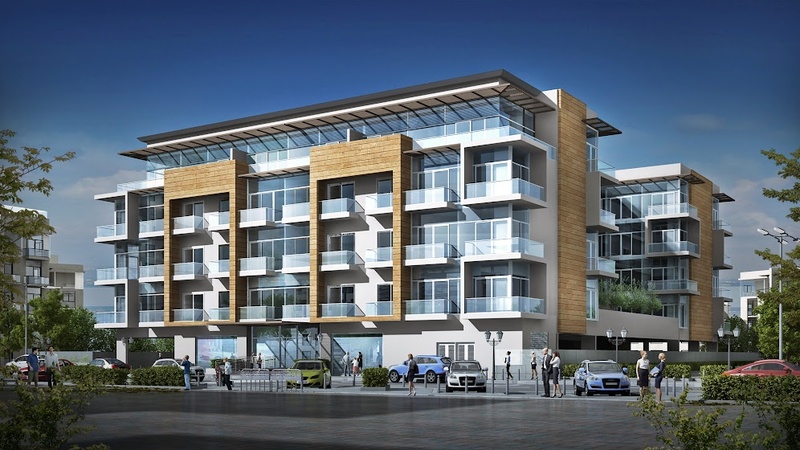 MS Zeest International City Phase 3 stands out thanks to its modern design. Huge windows to the floor, light balconies and comfortable rest place on the roof are the main features of the complex. Amenities of MS Zeest International City Phase 3 are gym and swimming pool, a playground for children, spa, cycling tracks. For animal lovers it will be important that pets are allowed. Parking is covered. Complex is protected by round-the-clock security. Bus stops of number 24, 53, 55, 365, 366, 367, X23, X25 busses are in 5-10 minutes from MS Zeest International City Phase 3. It’s 25 minutes to Dubai International Airport. Studios, 1 and 2 bedroom apartments are presented here. The smallest studio is 490 sq ft, 1 BR apartments start from 700 sq ft and 2 BR from 1094 sq ft. There are built in wardrobes and central A/C. Movable wooden jalousie allow you to change the space. Kitchen are equipped and ready to use. MS Zeest Apartments are crafted by MS Homes Developers. The company took part in real estate construction not only in UAE, but also in other countries like USA, UK and Pakistan.